I sure do love a good little BLOG HOP! You should have arrived here direct from the Imaginisce blog and I hope we teased you with our tags. I was so excited when I got the generous gifts from Echo Park and Spellbinders! I just love doing swaps with other manufacturers. Thanks so much! I have to admit that I didn't use my Spellbinders dies for this project because I couldn't find my CuttleBug at the time I was making my tags. Note to self: do not clean your scraproom because then you can't find anything. LOL. Anyway, I have since found it and have already made a few projects with it that I will be revealing soon. THANK YOU SPELLBINDERS! So, when I started making my tags I actually decided I wanted to make "calling cards" for my daughter since it was the end of the school year and she wanted to make sure a few of her friends could call her for summer play dates. I liked them so much that I decided to do another one but this time I planned to use it as an actual gift tag for a birthday party we had last weekend. These might not be what you traditionally think of when we talk "tags" but they serve the same function. :) You can write a greeting and your name or your phone number in my daughter's case on the back. I had a ton of fun with these, playing with different fonts that I downloaded from the Internet for free! Then I just started stacking it all together, some popped up, some not, and I got my fine tip scissors out because every single little element (trees, flowers, carriage, birds, clouds, banner...) were fussy cut. My daughter was so proud to hand these out to her friends at school and I have gotten so many compliments from the moms :blush: and Rheagan has a couple of play dates set up! Here's a picture of the tag on the gift bag. I plan to make more of these for all our presents now, whether it's a gift bag or wrapped box. I have to tell you that the Echo Park Dots & Stripes paper that I got were great matches to the Imaginisce lines. It smells good too (don't ask). THANK YOU Madison and all of ECHO PARK!!! Make sure to head on over the talented Miss Frances' blog but BEFORE YOU GO, I'd love it if you'd leave me a comment and follow my blog so that you can have a chance to win a selection of Imaginisce Happy Camper Papers, a selection of Echo Park Papers and a set of Spellbinders Nestabilities. How's that for a FABULOUS prize? When you have finished your blog hop go back to the Imaginisce blog and leave a message to say your finished and to be entered in todays give-away. Winner will be announced at the end of this week! THANKS! Oh I love your gift bags... What a wonderful idea.. soooo cute!!! I love the tag on the gift bag Was looking for something different to do I think that will work.. Thanks for sharing..
adorable tags. love the idea of using them on a gift bag. very clever. Your tags are so cute! Unless I know a card will be really appreciated, I find a tag is best for a kids parcel. Easy to read, add a nice decorative touch and are fast and fun to make! I am signed up to be a follower! The gift bags are totally cute, love how you made the name tags for them! Adorable! I love the calling card idea! And... I love how new paper smells. Super cute! This is the third browser I've tried to leave a comment! Love the tags. They're SUPER cute! I love the calling card idea!! so cute!! That is such a cute idea to give calling cards to your children's friends!! I love the birthday tag too! Thanks for the chance to win these awesome papers!! great idea for calling cards! 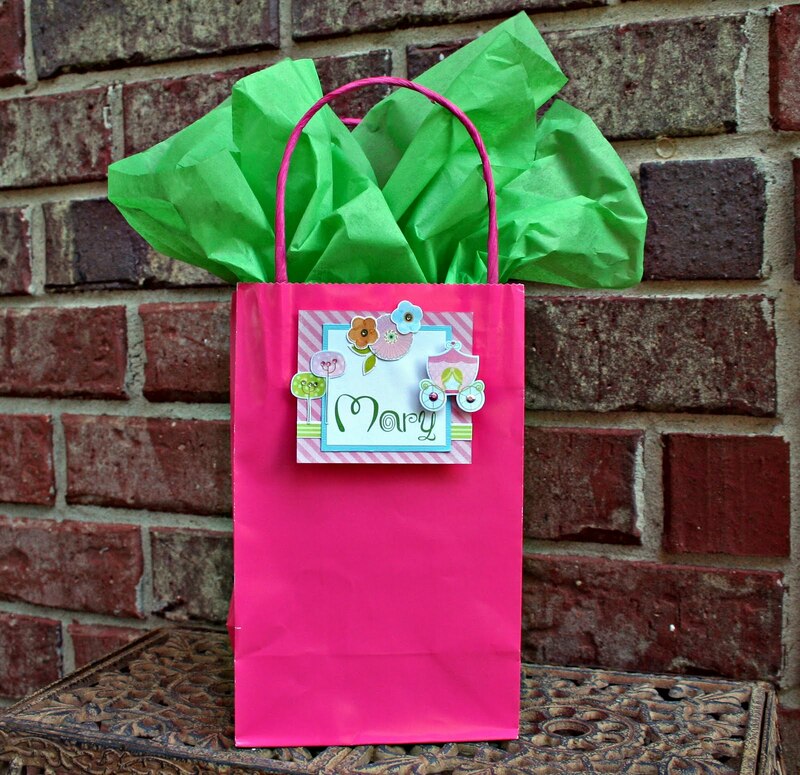 What a fabulous idea to put them right on the outside of the gift bag! Your tags turned out so cute and I love that you personalized them! I love the calling card idea, I love your tags. TFS.Blogger is still being bad, so I have to comment anonymously. Love your "tags" they are so cute. What a great idea. I love the gift bag tag and the idea for phone number tags would be great for my kids. Thanks for sharing. What an awesome idea! I'm sure all the Mom's were impressed with those calling cards! Believe me, I would be calling if my daughter brought one of those home! I would want my daughter playing at your house for sure! I think I just found a project for one of our American girl nights (it's our unoffical FREE craft club at my daughters bff's house over the summer)! These are beautiful and fun! Thanks for sharing the great idea! Super darn cute cards Heather! Fabulous tags! Thanks for the chance to win! Those are really cute! Love the little birds!! Very cute tags and a great idea! These tags are so very cute, Heather! Oh, and love all of the colors, too! Thanks so much for sharing! Hi Heather your tags are so cute. thanks for the great Ideas. great tags! thanks for the chance to win! Love those little birdies!! Super cute!! Too cute! The idea of calling cards for school friends was the kicker... That idea is most useful! Thanks! 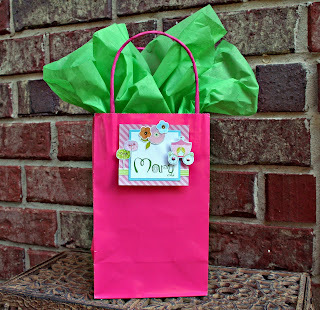 Great idea to make name tags for gift bags and I LOVE yours! My three favorite hope I win. LOVE them!!! What a Fabulous idea! I bet all the girls at school wished they had tags like that! They look great on gifts too! Thanks for sharing! Just love thise tag hop- what a grea partnership!! What a great idea! The tags/cards seem so versatile and cute. What a great idea! I am going to try this out for my son this year before school is over. I love your tags, thanks for all the great ideas. Those tags turned out great! Oh my, your tags are adorable!! Adorable Tags! Thanks for sharing! Love your tag creations! And I am already one of your followers - great blog!! Loved your tags/gift cards/calling cards! Will be back for more ideas when I finish the hop. Darling tags! Love the colors---so summery!!! Adorable tags!! Love the calling card idea. School is almost out. I may have to use that idea!! How adorable! I am a follower! Cute calling cards, Heather! Bet she'll get a lot of summer playdates now. :) Thanks for sharing your fabulous crafting! I already follow you, so I look forward to seeing your other creations using this trifecta of fun products! 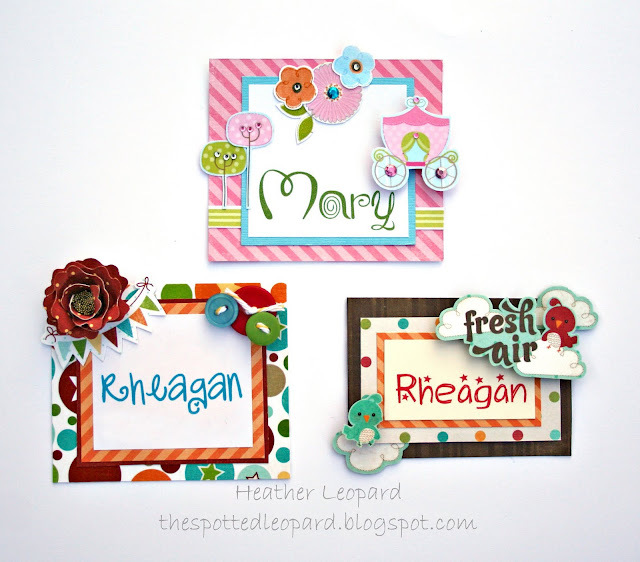 Cute tags, lovely little projects! YOUR ideas are fabulous. Your cards and tags are just FUN. I can't wait to try my hands at something similar. Off to the hop!! Beautiful tags and looks great on the bag!! What a great idea! These tags are to cute! TFS! Your tags are sooo cute! Thanks for sharing! I love your tags. Thank you so much for sharing. I can't wait to try this for myself. Super cute calling cards. Could be worse..I went to use my cuttlebug and the inside was broken..the wheels wouldn't turn. :( waiting for the replacement. Cute tags!!! Love the one with the little birds!!! What a great idea, I love your tags and the bag is a great idea. Thanks for sharing. For some reason I can't follow your blog! Not sure what is going on with that??? Love your gift tags. Always looking for fun and creative ways to give gifts. Thanks for the inspiration. GREAT tags! Thanks for the inspiration! oh, the gift tags are super cute! The tags are lovely your daughter is so lucky. Great design. Great idea! I love the "calling cards!" I love all of the bright colors. Dots and stripes are my favorite, great job! What a great idea! I bow to the queen of fussy cutting :) What extraordinary patience you must have! Love the idea of calling cards!!! Such cute tags!! What a fun idea to make the calling cards for your daughter, I'll have to remember that!! Birds and clouds...what a great combo! Just adorable. Thank you. Those calling cards are such a great idea! I wish I would have seen this a couple of weeks ago so I could have done that for my son. Maybe next year. The calling cards are so cute and a great idea! I'm already a follower of yours! Love those cute cards----Imaginisce and Echo Park were made to go together! Love those tags, great idea for school kids! I am a follower!! Hooray Google comments is working again! Those tags are awesome. so fun and bright!! Such cute tags. Thanks for sharing! I have been a faithful follower, loved the calling card idea! So cute! What a great idea going into summer! It doesn't get a whole lot better than this! I love the products and need a good kick start on my Summer projects! Following! Tried to "follow" and your list is, well, GONE! Will try again later! 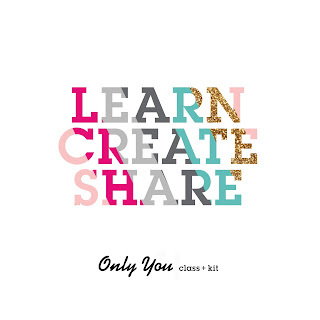 All of your projects are super cute!! Oh, I love that idea for "calling cards". Brilliant! how fun for your daughter to hand out such cute cards so her friends have her number!! Super super sweet! love the sweetness of this! Great tags! Love your colors! OMG.. I love your tags.. what a great idea. Great tags they are so bright and funky! Great tags, love the colors.